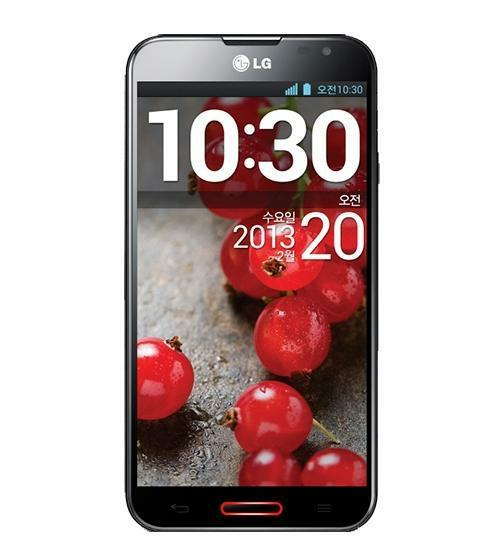 The LG Optimus G Pro is the upgrade to the LG Optimus G, and packs quite the punch in terms of features. The LG Optimus G Pro features a 5.5-inch IPS HD touch screen display, 1.7 GHz Qualcomm Snapdragon quad-core processor, 13-megapixel rear-facing camera, 2.1-megapixel front-facing camera, 32GB of internal storage, NFC mobile payment technology, expandable memory up to 64GB additional storage, and Android 4.1 Jelly Bean. LG Optimus G Pro Challenge, Day 12: Your questions answered!